Free 1st Class postage on UK orders. European postage from £2 per item. Worldwide postage from £3 per item. If you're not happy with your purchase for any reason, we'll give you a full refund. 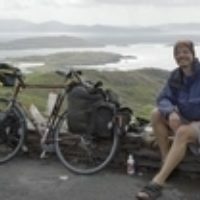 Guidebook describing 6 cycling tours in western Ireland, based on the Wild Atlantic Way, the longest signed coastal route in the world. Each takes around 7 to 10 days, or, for the full Wild Atlantic Way experience, the routes can be combined to create a 44-stage, 2450km trip from Derry/Londonderry to Cork. 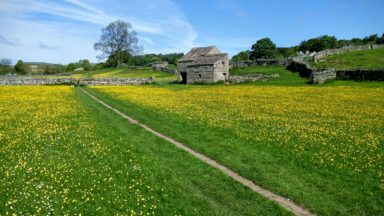 These routes are best ridden between May and September. The six routes are broken into stages averaging 60km. A full Wild Atlantic Way tour will take you 6-7 weeks at that pace, covering a total of almost 2400km. Boasting deserted beaches, towering sea-cliffs and tiny harbours – not to mention rich cultural and historical interest – the west of Ireland has much to entice the visitor, and with many miles of quiet roads, it's a cyclist's paradise. The Wild Atlantic Way is a driving route along Ireland's Atlantic seaboard, covering over 2,350km of coastline and showcasing the region's breathtaking landscapes. 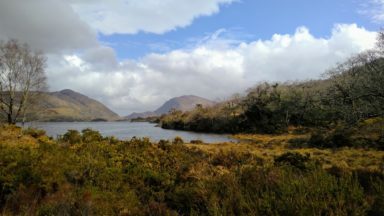 This guide adapts the route for cyclists – and throws in a couple of other highlights (such as the Aran Islands and Killarney) for good measure. Since relatively few people are likely to have seven weeks to spare for a full Wild Atlantic Way tour, the book presents six self-contained cycle tours, each offering 7–10 days of riding. For the full Wild Atlantic Way experience, these distinct routes can be linked together into a 44-stage trip from Derry/Londonderry to Cork. Each route includes detailed advice on accommodation and facilities, plus optional detours and shortcuts and points of interest. The routes themselves are presented as 'route cards': ideal for use with a cycle computer, these pages provide 'at a glance' information for when you're on the road, covering navigation, facilities and local highlights. The guide covers all the practicalities – including transport, equipment and general tips on cycling in Ireland – and also offers background information on geology, plants and wildlife, history and culture to enhance your journey. The result is an ideal companion to discovering western Ireland, where magnificent scenery, a vibrant music scene and a warm Irish welcome await the turn of your pedals. We are always grateful to readers for information about any discrepancies between a guidebook and the facts on the ground. If you would like to send some information to us then please use our contact form. They will be published here following review by the author(s). 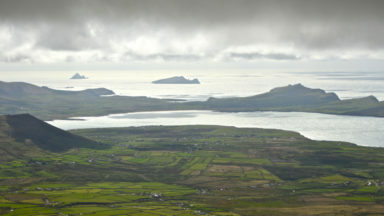 The Wild Atlantic Way is a tourist board route for car drivers. This is a cycle variant, stretched to run from Derry to Cork and getting off the beaten track onto more rural lanes. In particular, Achill, Clare, Inishboffin and the Aran islands are visited. The route does not always follow the coast closely but often it does and it traces most of the peninsulas in the southwest. The introduction includes such topics as history, geology, wildlife, culture, music, language and practicalities such as accommodation, food and cashpoints. technically, it would not be too much of a trouble to take bicycle, baggage and self once more to ballycastle and head west to derry in order to follow tom cooper's prescribed route from the north all the way down the atlantic coast, ultimately arriving in cork in the far south. if you happen to be domiciled on the green isle, you have the option of undertaking a series of individual tours, such as the author's opening gambit; a tour of donegal. this takes the form of a nine-day parcours, averaging around 50km per day, allowing considerable off-the-bike time for sightseeing. of course, if 50km is the sort of distance you'd usually dispatch before a hearty breakfast, you are free to combine one or two of the stages and reach donegal town in time for tea. of course, prior to departing, the prudent touring cyclist will have taken care of business, a task made considerably easier by cooper's excellent appraisal of the necessities, ranging from bike choice (a touring road bike gains the thumbs up, or a mountain bike with road tyres) to getting there, where to eat and a comprehensive précis of the region's history and geology. as with all cicerone guides, pertinent colour illustrations abound, along with box-outs along the way to highlight a particular feature of the town or area through which we will all hopefully be cycling sometime soon. i sometimes wonder if these guides are more rock'n'roll than jazz, detailing as they do, every twist and turn, leaving almost no room for improvisation. but while such freedom of choice might seem attractive when sitting in a fireside armchair in the comfort of your own home, on a wet and windy day on ireland's west coast, being led by the hand through every twist and turn would probably be even more comforting. the daily distances portrayed are well within the powers of any competent cyclist, even if riding with luggage is not your normal practice. let's face it, cycle undertakings such as those discussed here, will likely form part of a holiday; who wants to bust a gut when on vacation. tom cooper has astutely provided a complete section entitled waterproofs, one which commences "be prepared for wet weather." as one who resides but a matter of miles north of ireland, i can testify to that. this point is reinforced under the 'tent' heading: "Sooner or later, there is going to be a downpour..."
though i've yet to undertake even one turn of an irish touring wheel, i cannot deny that i actually quite enjoyed reading this guide as bedtime reading, even if the word 'reading' is a euphemism for 'looking at the pictures'. if this is a bike ride you think would suit your abilities and sense of adventure, mr cooper's guide would be an indispensible accessory atop the bar bag. The guide makes easy reading, and finds a good balance between breadth and depth: A welcome addition to the saddle-bag. The new book is described as a second edition, I assume of the 2010 guide. There’s is a little more to it than just revisions, though. 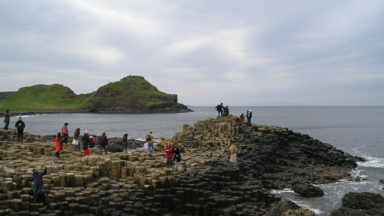 The older guide includes routes further east in Northern Ireland; linking Belfast, Dublin, Wexford, Waterford, and Cork; Dublin to Limerick: through Killarney. However, for many touring cyclists, it is the west coast that pulls most strongly, and this was reflected in the 2010 version. The good news for the west coast tourer is that the refocusing of the guide has allowed a reduction in size to one that will slip into a cycling jersey pocket. As the author points out, this is not a guide to the Wild Atlantic Way: it avoids, wherever possible, busy sections of main road. If you are lucky enough to have enough time to do the whole journey in one go, good for you. For those who have not, the guide actually describes six self-contained cycle tours. Three are circular, or, at least, have a circular element. 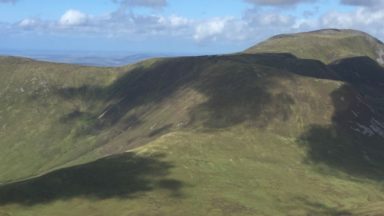 For example, the second route is linear between Donegal town and Sligo and then becomes a circular route via Westport, before returning to Sligo. Many of the seating and finishing points can be reached by rail, although not all. Advice on practicalities such as these are covered in the introductory pages; background history, geography, geology, and so on. Given the author’s experience of cycling in Ireland, the advice seems pretty sound, although there’ll always be a few things that cycle tourers - individualists if ever there were any - might disagree with. There are few, and they are personal things. Many, especially carrying a paper map as a back up to on-line or gpx tracks, I’d wholeheartedly agree with. Likewise, keeping an eye out for festival dates is oft forgotten, but vital for those in search of festivals or seeking accommodation. Appendices contain lists of contacts, glossary, further reading and, very helpfully, a section outlining the main deviations form the Wild Atlantic Way driving route. The routes in between are imaginatively designed to take in the best scenery, the quietest roads, and give access to a accommodation at the end of each section. Needless to say, it is up to you to decide how far you ride each day, but the guide provides all you need to explore the outer-edge of Europe, regardless of your energy, or lack of it. there are strong hints where good alternative routes exist. For example, mention is made of the Kingfisher Trail, linking Beleek, near Ballyshannon, to Enniskillen, Carrick-on-Shannon, and Sligo, as opposed to the much, much shorter coastal route between Ballyshannon and Sligo. The Kingfisher Trail was covered in the 2010 guide. Sometimes, flatter routes are suggested as an alternative to more strenuous routes for which some might find a motor desirable. Cleverly, the author also looks to the future. There are a number of “Greenway” proposals under consideration that would affect the routes. Of course, if you are one of those lucky folk aiming to go all the way from Derry (Londonderry) to Cork, then select the sections of route you wish to take - you have choices! A lot of the photographs brought back memories of cycling on the west coast many years ago. Little seemed to have changed. For the newcomer to cycling in Ireland will only add to the temptation to book your travel tickets. An unusual, for Cicerone, feature of both the 2010 book and the new guide are route cards. Yes, you can download gpx files for the routes and get the latest updates by registering your book purchase. Some like hard copy. Using a format similar to an addax card, though employing symbols rather than letters, the author has provided directions that can be copied, cut into strips, and placed on top of a bar-bag or in a map/route card holder. Allowing the guide to be used for planning and to remain in the jersey pocket, or safe from those “soft” Irish days in the pannier, this seems to me like a good idea. Others have expressed less enthusiasm for this format, but I certainly find it easier to follow on the fly than directions within the general text. Personal preference, again. The guide makes easy reading, and finds a good balance between breadth and depth. In both concept and execution it will be a welcome addition to the saddle-bag. It was only going to be a matter of time until someone realised that, with some modifications, the very popular Wild Atlantic Way, a motor route designed by Irish tourist officials to entice visitors, could be modified to make a brilliant touring route for cyclists as well. And that is exactly what Tom Cooper appears to have done. He has chopped and changed the car route to eliminate roads with heavy car traffic, and sometimes long distances between points, to ensure a much more peaceful cycle ride, but one still loaded with gorgeous scenery and fascinating sites. Cycling the Wild Atlantic Way and Western Ireland (published by Cicerone) isn’t Cooper’s first look at the Wild Atlantic Way, mind you. That was in an earlier book Cycle Touring in Ireland (also published by Cicerone) that, as its name suggests, covers all of Ireland. But this new book focuses entirely on the Wild Atlantic Way. If you are going to ride this route in its entirety, you’ll need time – about seven weeks, Cooper reckons. Starting in Derry, in the north, the route runs for 2500km to Cork on the south coast. 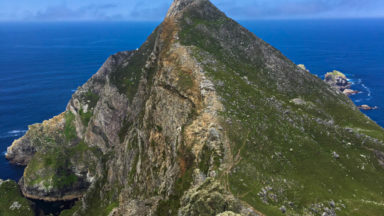 However, if that is too great a distance, Cooper has designed six individual smaller routes, each one ranging from 360km to 504km and covering just about the entire Wild Atlantic Way. Incidentally, three of those smaller routes can be started and completed in the same town. And whether you are doing the full Derry to Cork ride or one of the smaller ones, you won’t miss a thing as there are detailed route instructions that include just about everything you might need to know, including distances, ATM locations (although in some areas these are being removed), tourist attractions, toilets and accommodation suggestions. There’s more. A brief but surprisingly informative overview of the history and culture of Ireland, for instance. And then there are suggestions about how you can get there – first to Ireland itself, and then to the various starting points. Cooper even provides approximations of possible costs and how much should be budgeted. For newcomers to touring, there are first class checklists for bikes, tools, clothes, camping gear and luggage to mention but a few. And there is good information about the maps you might need and how to access the GPS tracks of the routes that are available at no cost to people who buy the book. None of this is written in a way that would bore, or even worse, patronise, experienced cycle tourists. But it would go a long way to encouraging those with little or no experience to put aside any fears that they might have and give it a go. I am not surprised at the depth and quality of this book. Cicerone have been publishing books about cycle touring for many years. In fact, I’ll bet there aren’t many touring cyclists who don’t have one or two on their book shelves already. Whether they were bought to actually plan a tour, or whether it was just for pleasant dreaming about a possible future tour, they always make for delightful reading. Read this one and dream. Better still, read this one and start planning! It was only going to be a matter of time until someone realised that, with some modifications, the very popular Wild Atlantic Way, a motor route designed by Irish tourist officials to entice visitors, could be modified to make a brilliant touring route for cyclists as well. And that is exactly what Tom Cooper appears to have done. He has chopped and changed the car route to eliminate roads with heavy car traffic, and sometimes long distances between points, to ensure a much more peaceful cycle ride, but one still loaded with gorgeous scenery and fascinating sites. Cycling the Wild Atlantic Way and Western Ireland isn’t Cooper’s first look at the Wild Atlantic Way, mind you. That was in an earlier book Cycle Touring in Ireland (also published by Cicerone) that, as its name suggests, covers all of Ireland. But this new book focuses entirely on the Wild Atlantic Way. If you are going to ride this route in its entirety, you’ll need time – about seven weeks, Cooper reckons. Starting in Derry, in the north, the route runs for 2500km to Cork on the south coast. However, if that is too great a distance, Cooper has designed six individual smaller routes, each one ranging from 360km to 504km and covering just about the entire Wild Atlantic Way. Incidentally, three of those smaller routes can be started and completed in the same town. The guide makes easy reading, and finds a good balance between breadth and depth... a welcome addition to the saddle-bag. The good news for the west coast tourer is that the refocusing of the guide has allowed a reduction in size to one that will slip into a cycling jersey pocket. As the author points out, this is not a [driving] guide to the Wild Atlantic Way: it avoids, wherever possible, busy sections of main road. Advice on practicalities such as these are covered in the introductory pages; background history, geography, geology, and so on. Given the author’s experience of cycling in Ireland, the advice seems pretty sound, although there’ll always be a few things that cycle tourers - individualists if ever there were any - might disagree with. There are few, and they are personal things. Many, especially carrying a paper map as a back up to on-line or .gpx tracks, I’d wholeheartedly agree with. Likewise, keeping an eye out for festival dates is oft forgotten, but vital for those in search of festivals or seeking accommodation. Appendices contain lists of contacts, glossary, further reading and, very helpfully, a section outlining the main deviations form the Wild Atlantic Way driving route. The routes in between are imaginatively designed to take in the best scenery, the quietest roads, and give access to a accommodation at the end of each section. Needless to say, it is up to you to decide how far you ride each day, but the guide provides all you need to explore the outer-edge of Europe, regardless of your energy, or lack of it. there are strong hints where good alternative routes exist. For example, mention is made of the Kingfisher Trail, linking Beleek, near Ballyshannon, to Enniskillen, Carrick-on-Shannon, and Sligo, as opposed to the much, much shorter coastal route between Ballyshannon and Sligo. The Kingfisher Trail was covered in the 2010 guide. Sometimes, flatter routes are suggested as an alternative to more strenuous routes for which some might find a motor desirable. Cleverly, the author also looks to the future. There are a number of “Greenway” proposals under consideration that would affect the routes. Of course, if you are one of those lucky folk aiming to go all the way from Derry (Londonderry) to Cork, then select the sections of route you wish to take - you have choices! A lot of the photographs brought back memories of cycling on the west coast many years ago. Little seemed to have changed. For the newcomer to cycling in Ireland will only add to the temptation to book your travel tickets. An unusual, for Cicerone, feature of both the 2010 book and the new guide are route cards. Yes, you can download .gpx files for the routes and get the latest updates by registering your book purchase. Some like hard copy. Using a format similar to an addax card, though employing symbols rather than letters, the author has provided directions that can be copied, cut into strips, and placed on top of a bar-bag or in a map/route card holder. Allowing the guide to be used for planning and to remain in the jersey pocket, or safe from those “soft” Irish days in the pannier, this seems to me like a good idea. Others have expressed less enthusiasm for this format, but I certainly find it easier to follow on the fly than directions within the general text. Personal preference, again. After some years of bashing out stories and editing copy for newspapers in both England and Australia, Tom Cooper decided to turn his hand to writing a book. His inspiration? It was Ireland itself – happy scene of many teenage and adult holidays alike. When Tom decided to explore even further by bike he couldn’t find a guidebook he liked, so decided to write one that he hoped would help, and inspire, cyclists to enjoy touring in Ireland as much as he does. We have over 350 books covering many countries, and our collection is growing all time. Get the latest news, articles and offers in our newsletter sent out around every two weeks. Fast free 1st Class postage on UK orders. International shipping available. Find out the latest route changes with free guidebook updates. Available online or sent by email.